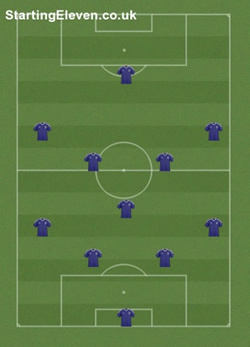 Starting Eleven - Pick a formation, team colours and create your football starting eleven. Starting Eleven lets you create a formation and a starting lineup for your favourite football team, in 4 easy steps. 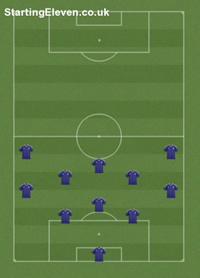 Get started by selecting your favoured football formation. 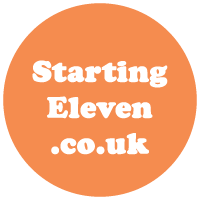 Starting Eleven is an online football formation creator that allows you to generate a football formation image, which you can share online. The site includes many pre built formations and a wide selection of football kits to choose from. 275151 football teams created so far. Can Manchester United Win the Title? Can Tottenham Have a Say in the Title Race? Is Eden Hazard in Line for another Player of the Year Award this Season?